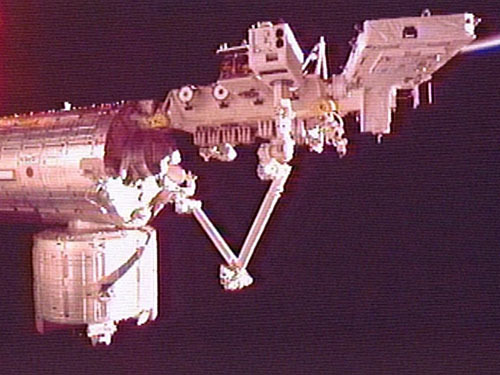 On August 9, the Japanese Multi-mission Consolidated Equipment (MCE) was installed to port #8 of Kibo's Exposed Facility (EF) by the Kibo's robotic arm, Japanese Experiment Module Remote Manipulator System (JEMRMS) at International Space Station. MCE is loaded with multi hardware for five different missions, including GLIMS (Global Lightning and Sprite Measurement Mission). JEM-GLIMS has two kinds of optical instruments and two sets of radio. The optical instruments consist of two wide FOV CMOS cameras and six wide FOV photometers, and all these optical instruments look the nadir direction. 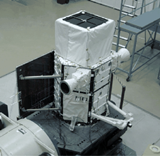 CMOS cameras named LSI (Lightning and Sprite Imager) use the STAR-250 device as a detector, which has 512x512 pixels and 25x25 um pixel size, and have 40 deg. FOV. One CMOS camera with a wide band filter (730-830 nm) mainly measures lightning emission, while another camera with a narrowband filter (766+/-6 nm) mainly measures TLE emission. Five of six photometers have 40 deg FOV and use photomultiplier tube as a photon detector. They equip band-pass filters (150-280 nm, 316+/-5 nm, 337+/-5 nm, 392+/-5 nm, and 762+/-5 nm) for the absolute intensity measurement of the TLE emission. One of six photometers equips a wide-band filter (600-900 nm) to detect lightning occurring within 87 deg FOV. These output signals will be recorded with the sampling frequency of 20 kHz with a 12-bit resolution. One VLF receiver will observe electric field perturbations in the frequency range of 1-40 kHz. There are two sets of VHF antenna, which will be installed at the bottom plate of MCE. VLF antenna will detect VHF pulses in the frequency range of 70-100 MHz and will be recorded by the VHF electronics with 8-bit resolution with 200 MHz sampling frequency. Study in situ of the fluctuations of electrical and magnetic field, the parameters of thermal and epithermal plasma in the ionosphere near layer F during different helio- and geomagnetic conditions. Study of the geomagnetic and geophysical parameters on the ground-based observatories with the time scales from 10–1 to 10–3 s.
Study of the interrelation of electromagnetic phenomena (spectra of ULF/VLF- waves) in different regions of near-earth space by means of via the comparative analysis of the wave measurements of those carry out simultaneously on different spacecrafts and ground geophysical stations. 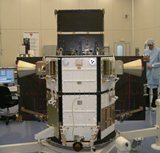 AGILE (Astro‐rivelatore Gamma a Immagini LEggero) is an X-ray and Gamma ray astronomical satellite of the Italian Space Agency (ASI). AGILE mission is aimed to the observation of the Gamma-Ray sources in the universe. The AGILE’s instrumentation combines a gamma-ray imager (GRID) (sensitive in the energy range 30 MeV-50 GeV), a hard X-ray imager and monitor: Super- AGILE (sensitive in the range 18-60 KeV), a calorimeter (sensitive in the range 350 KeV-100 MeV) (MCAL), and an anticoincidence system (AC), based on plastic scintillator. AGILE was successfully launched on 2007, April 23 from the Indian base of Sriharikota and was inserted in an equatorial orbit with low particle background. SuperAGILE (SA) is an imaging instrument based on a set of four independent silicon strip detectors, equipped with one-dimensional coded mask, SA is designed to detect X-Ray signals from known sources and also burst like signals providing long-term monitoring in terms of flux and spectral features. 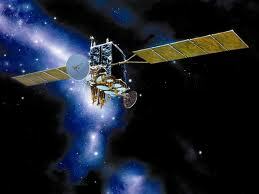 Also MCAL can effectively detect high-energy radiation bursts in its energy band. Some of the AGILE detected transient events are associated to positions not consistent with a known source in the sky (Gamma Ray Burst -GRB-) and they have a cosmological origin, others are due to Solar Flares and some of them to Earth Atmosphere events (Terrestrial Gamma Flash -TGF-). 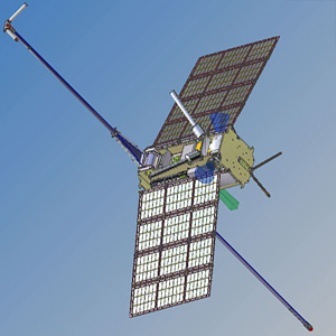 First contact on 2007-04-23, ASI has made contact with AGILE: signals from it have been acquired by the ground station at the Broglio Space Centre near Malindi, Kenya and it has been placed in a sun-pointing mode.